We have a ring sizing tool HERE. You can print out the ring sizer (make sure it’s exactly to scale) and measure your finger size. But if you get it wrong, it doesn’t matter. You simply send us your ring back, accompanied by a completed returns form and a self-addressed pre-paid return envelope, and we’ll adjust the ring size for you free of charge*. It’s that simple. Any rings being returned for resize must be done so within one month of receipt. *Not applicable to any item purchased via a promotion. Free ring resizing only applies to where the correct size is within 2 sizes up or down of the original order. For example, if the original item is size P, this can be resized to size N or size R. For any resizing requirements greater than 2 sizes up/down, there may be a small fee applied. For russian wedding rings (except diamond russian wedding rings), there is a flat fee of $150 for any resizing. 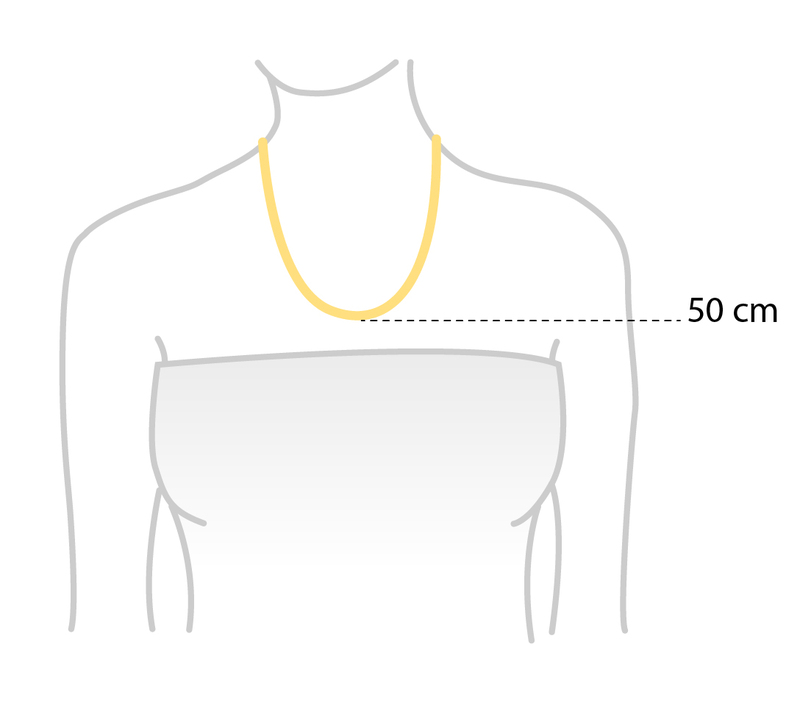 For necklaces sizing, we offer all necklaces in 50cm - see our picture below to get an idea of where it will sit.